The immortal Stone Love and selector Rory, forged a reputation during the 80’s and 90’s in the inner city communities of Kingston Jamaica. A living legend within the soundsystem movement, Stone Love rose to the top by promoting reggae dancehall culture, Jamaica, Rastafari, and the movement to legalise marijuana. The name Stone Love came to embody the spirit of generations of reggae lovers. Many “soundboys” have “perished” at the hands of the sound system in now legendary soundclashes. It was the custom in the impoverished garrison communities of Kingston for benevolent community leaders otherwise known as “Dons” (robin hood type figures to some, organised crime bosses to others) to host free weekly street dances for the people of the community. These “Dons” would provide the essential ingredient, the music, which included the soundsystem, the selector, and a wall of speakers towering above the revelers who, for a moment, could escape the harsh socio-economic and political situation and simply enjoy a night of feel good reggae music. Many of the singers of the day would pass through the dance and show their respect for the Don and the community by toasting on the microphone and creating lyrics on the fly that were both poignant and profound. 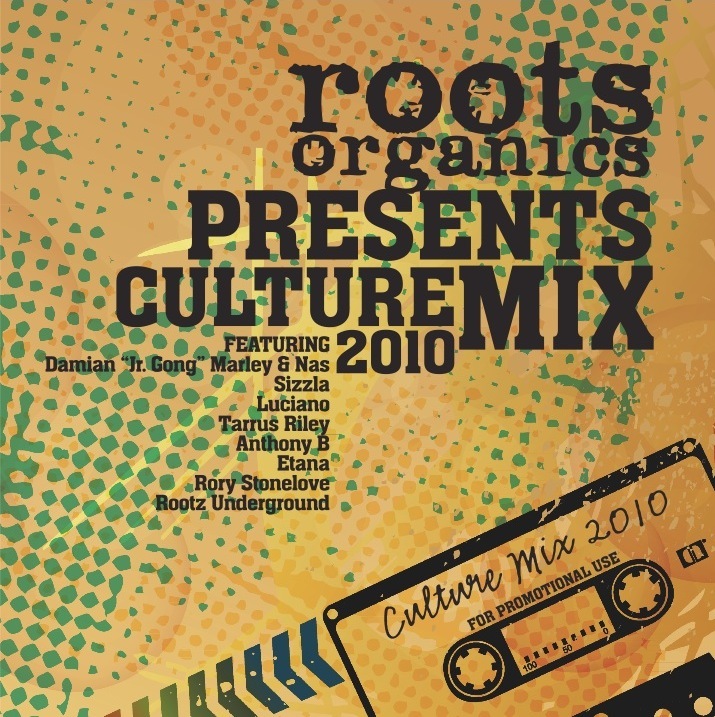 Roots Organics, Rootz Underground, and Selecta Rory of the Stone Love Movement have created “Culture Mix 2010” to recapture the essence of the dancehall. We invite you to enjoy the good vibes and be a part of this legendary era of reggae culture. Rootz Underground, Rory Stonelove, Junior Byles, Robert French, Busy Signal, Damian “Jr. Gong” Marley, Richie Spice, Chuck Fenda, Taru, Luciano, Sizzla, Johnny Osbourne, Duane Stephenson, Big Yout, Tarrus Riley, Etana, Abijah, Lutan Fya, Capleton, Nas, Julian Marley, Anthony B, Norris Man, Sugar Minott. For more info on Rootz Underground see their website. studying more or working out more. Thanks for wonderful infolrmation I used to be in search of this info for my mission. nic to read this blog, and I used to visit thiis web sit all the time. Heyy There. I discovered your blog the use of msn. This is a really smartly written article. eventually come back someday. I want to encourage you to continue yor great work, have a nice holiday weekend! own weblog and was curious what all is required tto get setup? Any recommendations or advice would be greattly appreciated. Hello there, I think your site could be having browser comparibility problems. Whenever I take a look at your web site in Safari, it looks fine but when opening in IE, it has some overlkapping issues. I simpply wanted too give you a quick hads up! Apart fom that, wonerful site! Magnificent goods from you, man. I have be aware your stuff prior to and you’resimply extremely fantastic. continue to take are of to stay it sensible. I can’t wajt to read far moree from you. xrumer Base for xrumer gangster.ws, I can not understand how to use it, someone can explain? thanks in advance. of compassion. Demon Rescuer by Racy Li is a paranormal romance that can be downloaded in PDF format from her website here:. Yahooooo!! Thx This is a GIFT!